The stock was down 8% at Rs 431 on the BSE, falling 16 per cent in past four sessions, after the company reported 33% YoY decline in net profit at Rs 3.65 crore in Q3FY19. Shares of Kaveri Seed Company (KSCL) slipped 8 per cent to hit a 52-week low of Rs 431 on the BSE, falling 16 per cent in past four sessions after the company reported a weak set of numbers for the quarter ended December 2018 (Q3FY19). The company engaged in agriculture products business posted 33 per cent year-on-year (YoY) decline in net profit at Rs 3.65 crore in Q3FY19, on account of lower sales. It had a profit of Rs 5.43 crore in the year-ago quarter. Net sales decreased 5 per cent to Rs 67.18 crore from Rs 70.64 crore in the corresponding quarter of previous fiscal. Q3 being a lean quarter and impacted due to lower maize sales reported marginal operating profit at Rs 10 lakh (Rs 9.7 crore). However, higher other income in Q3 at Rs 10.6 crore arrested the net profit decline. Ebitda (earnings before interest, taxation, depreciation and amortisation) margin contracted 75 bps to 15.95 per cent from 16.07 per cent. The sluggish performance can be attributed to the fear of ‘fall armyworm’ in maize, which dampened sentiment and led to lower acreage (note that majority of third quarter revenue is contributed by maize, where volumes declined 22 per cent YoY). Management guidance for cotton volumes in FY20 was robust at 7.2 million packets. Meanwhile, analysts at Motilal Oswal Securities cut FY21 cotton volume estimate by 3% or at 6.9 million (keeping it same as that of FY20) due to lower visibility, which translates into an 8 per cent earnings cut for FY21. “The downside to our estimate is the non-renewal of KSCL’s license by the Andhra Pradesh government (got suspended recently for a year), which can impact FY20 revenue by 6-7 per cent. Given this uncertainty, which might restrict the company from taking advantage of a likely positive cotton season in FY20, we cut our multiple from 17x to 15x (around 10% discount to its three-year average multiple). 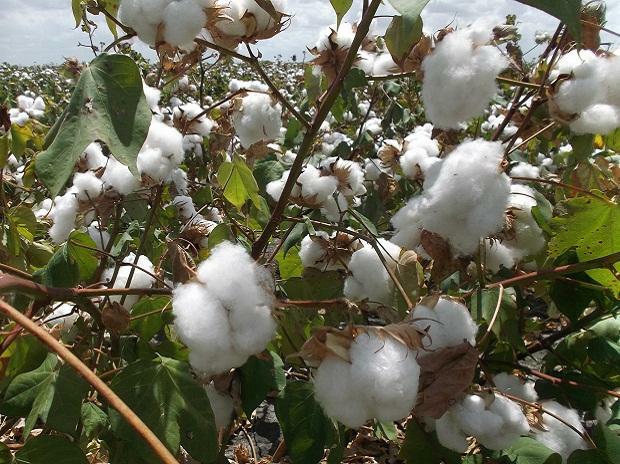 We, however, find comfort from the company’s reducing dependency on cotton business, with non-cotton share likely to rise up to 55 per cent in FY21,” the brokerage firm said in Q3FY19 result update. “On the ongoing dispute over HT cotton issue from Andhra Pradesh government, the management indicated that it’s not a material concern and there won’t be any impact on the company’s cotton sales in FY20E. With better cotton and maize prices, FY20E is looking better than FY19 and is expected to drive growth for Kaveri. Paddy (both hybrid and selective) and vegetables (at a lower base) are also expected to support the overall performance. If the license is not reinstated, the financial impact from Andhra Pradesh cotton sales would be to the tune of around Rs 4 crore,” analysts at Sunidhi Securities & Finance said in result update. At 12:23 pm; KSCL was trading 8 per cent lower at Rs 431 on the BSE. In comparison, the S&P BSE Sensex was up 0.32 per cent at 35,613 points. The trading volumes on the counter more than doubled with a combined 2.02 million equity shares changed hands on the BSE and NSE so far.